Can Oral Sedation Dentistry Work for Severe Dental Phobia? 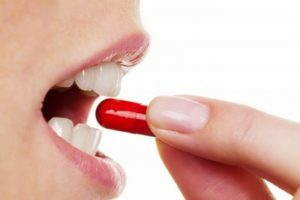 Does Conscious Oral Sedation Dentistry Work? Conscious Oral Sedation at dentist absolutely does “work.” If you are scared of the dentist and need to be put to sleep for dental work, than dental sedation is right for you. During your sedation dentist appointment you will not feel any pain and you will remain in a sleepy and relaxed state till all your dental work is completed. At the end of your appointment, you will wake up as if all your dental problems went magically away at once. Sleep dentistry is ideal for other reasons including people who gag a lot, have difficulty getting numb or special needs. Often times people who fear the dentist will stay away till something hurts. Toothache is considered to be among the most disturbing feelings of discomfort within the human body. You will not be able to sleep through the night if your tooth is out of order. Pain relieving medications or antibiotics have minimal role in curing tooth diseases and ultimately you have to visit the dental office for dental treatment procedures. The sight of dental chair, white coat, long dental needles, sound of dental drills and instruments have been the major cause of dental phobia for many among us. People often wonder, does oral sedation dentistry work? As they say necessity is the mother of all inventions, sedation dentistry is the dental invention which is very helpful in providing relaxation and soothing environment to patients visiting the dental clinics for getting tooth fillings, gum therapies, tooth extractions and dental cleanings. Sedation at the dentist does work. You will remain in a sleep, sedated state, relax at the same time and your dentist will provide you with the best dental and oral care. However, you must want to know what this technique is, how it works and does sedation dentistry really work? We will answer and explain it to you here. Conscious sedation is the technique which provides a relaxed state of mind in which you will be able to maintain your normal body functions, physical activities, and breathing. You will in a sleepy, twilight state. You will not have any pain and you will remain calm and comfortable throughout your dental appointment. Conscious sedation dentistry which is also known as relaxation dentistry provides a feeling of complete relaxation and comfort to the dental patient during dental treatment procedures in the dental chair. Can Conscious Sedation Dentistry Help Me In Overcoming My Fear Of Dental Treatment? Conscious sedation will provide you comfort and relaxation to the level that you will easily get your teeth filled and cleaned which was not possible in the past due to your fear of the sound of dental drills and sight of sharp dental instruments. Your anxiety and stress will diminish with positive dental treatment experiences. Such positive experiences will help you to tolerate and go through simple dental treatments possibly without conscious sedation in future. Can Everyone Benefit From Conscious Oral Sedation Dentistry Or Dental Sedation? Conscious oral sedation dentistry can help people in combating dental phobia in almost every age group. Small children as well as elderly population can get relaxation during dental and oral care equally. Following individuals can go under conscious sedation in the dental office. People who feel embarrassed and afraid of showing their bad teeth to strangers. What Are The Various Types Of Conscious Sedation Used In The Dental Office? Conscious sedation basically has three different types according to the route of administration and medicines used. Inhalation conscious sedation using nitrous oxide gas and oxygen. Inhalation is also called dental laughing gas. Which Dental Treatment Can Be Easily Performed Under Conscious Sedation? Why Should I Choose Conscious Sedation For Getting Dental And Oral Treatments? If you feel fearful of visiting your dental health care provider and refrain from getting your painful teeth root canal treated, you should opt for undergoing conscious sedation in the dental office. Never ignore your teeth just because you are suffering from dental phobia as oral problems can easily lead to heart disease, digestive problems, diabetes mellitus, lung diseases and other systemic disorders. Go for conscious sedation and restore your dental and oral health. Is It Safe To Undergo Oral Sedation In The Dental Office? Sedation dentistry is absolutely safe. Does oral sedation dentistry work? Conscious sedation should be performed by highly trained and skilled staff in the sedation dental clinic. This technique is very safe and advantageous for performing multiple dental procedures in the dental clinic. Sedation dentists hold an additional dental anesthesiology license in addition to a dental license. Sedation dentists have a rigorous sedation residency training. Additionally, dental anesthesiologists are tested by the by the Maryland Board of Examiners prior to finally receiving a sedation credential and license. Will I Sleep During My Dental Treatment As Some People Say Sedation Is Sleep Dentistry? Sleep dentistry is not a completely accurate term for explaining conscious sedation. You will be in a sleepy, twilight altered conscious state. You will remain calm, comfortable and relatively unaware during a relaxed dental sedation procedure. If you would like to learn more about the sedation dental appointment and what sedatives drugs are used for sedation dentistry we have more information. Will I Feel Pain Or Discomfort During Conscious Oral Sedation? No you will feel relaxed and comfortable under the effect of painkillers and local anesthetics given to you before and during the procedure. But, does oral sedation dentistry work? Yes. Insurance coverage for dental conscious sedation will depend upon your terms and conditions with your insurance provider. Conscious sedation is a necessity for providing important dental treatments and may be covered in the dental insurance plans. Never sacrifice your dental and oral health just due to anxiety or stress. Always take good care of your teeth and gums. You must agree with your dentist for using dental conscious sedation whenever required.